I’m going to start this post by saying that starting a garden underneath a tree can be a challenging task. You’ll likely be battling shade, dry ground, and acidic conditions if you’re planting underneath a coniferous tree. If you’re not fully committed to this gardening challenge, I highly recommend a circle of mulch around your tree and calling it a day. However, I understand the appeal. There’s something about blooming flowers underneath a tall tree that seems so romantic and beautiful. 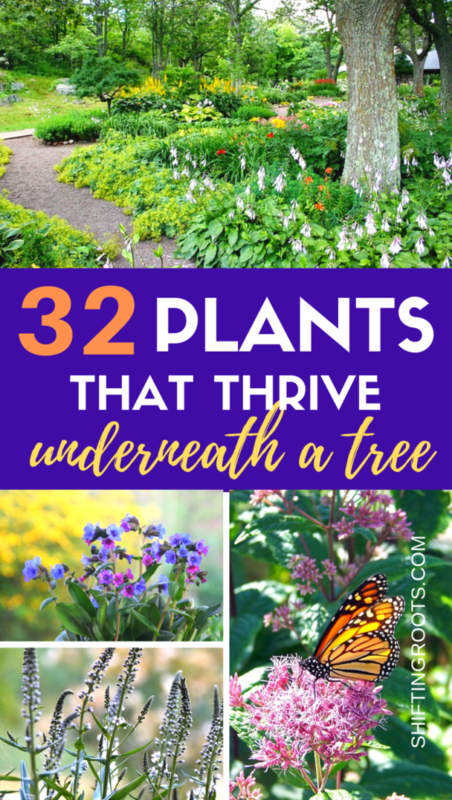 So in that spirit, here’s 32 plants that will work in your underneath-a-tree flower bed. 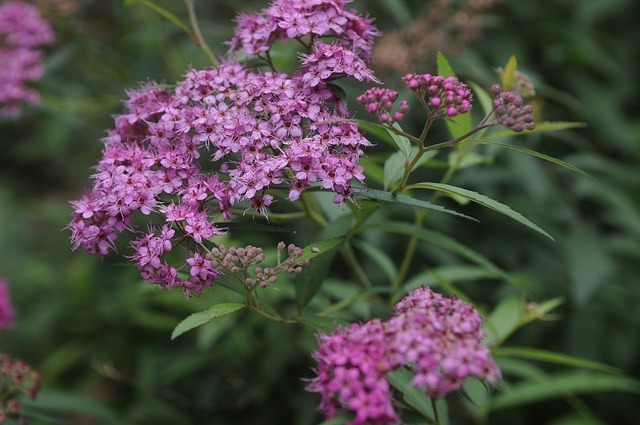 I’ve chosen mostly perennials, with a few shade loving annuals thrown in for good measure. A quick disclaimer: I personally garden in zone 3b on the Canadian Prairies, so all of my plant suggestions are plants that will grow in this zone. 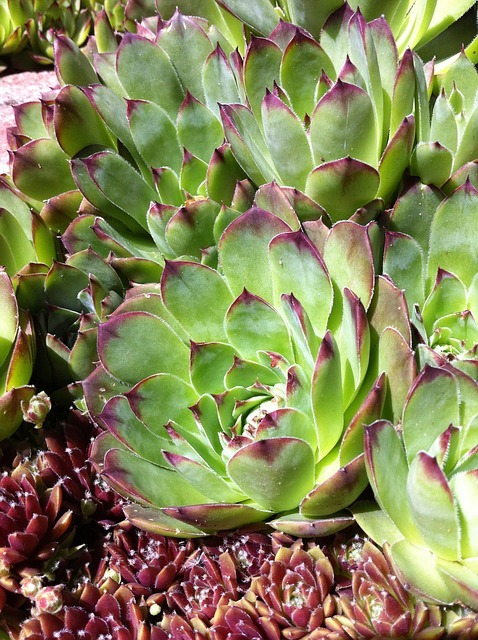 If you live somewhere warmer, you will likely have a lot more plant suggestions at your disposal. However, all my picks should work for you! Disclaimer number 2: Some of the plants I’m suggesting can be very invasive. 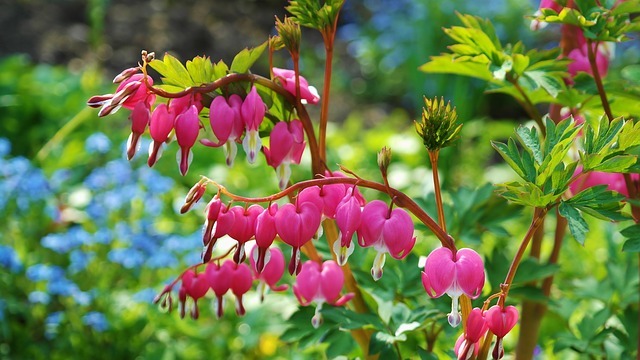 It’s always a good idea to google [your province or state] plus the term “invasive plants” to avoid future heartache in the garden. Let’s go back to your elementary science class for a moment. Coniferous trees are the types of trees that stay green all year. For example, fir, pine, and spruce. Deciduous trees are the ones that the leaves fall off every Autumn. For example, oak, elm, and any fruit tree. Most of the plants I’m suggesting will work well for either type of tree, but there’s a few things you’ll want to keep in mind. If your tree is coniferous, you’ll need to prune the bottom branches to allow some light to get to your plants. The soil underneath tends to be quite acidic, so you may need to make some amendments to your soil or build it up a little. If your tree is deciduous, you might be able to plant some early flowering perennials, such as crocuses, daffodils, tulips, hyacinths, and other spring perennials that require more sun. The leaves on the trees won’t be fully grown when these flowers are blooming, so they should work even though underneath a tree is generally a shady area. 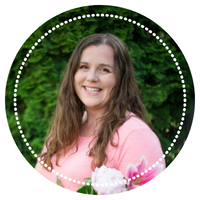 Sometimes you don’t want to spend lots of time and effort creating the perfect flowerbed–you just want a pretty hit of colour that will look good and be low maintenance. 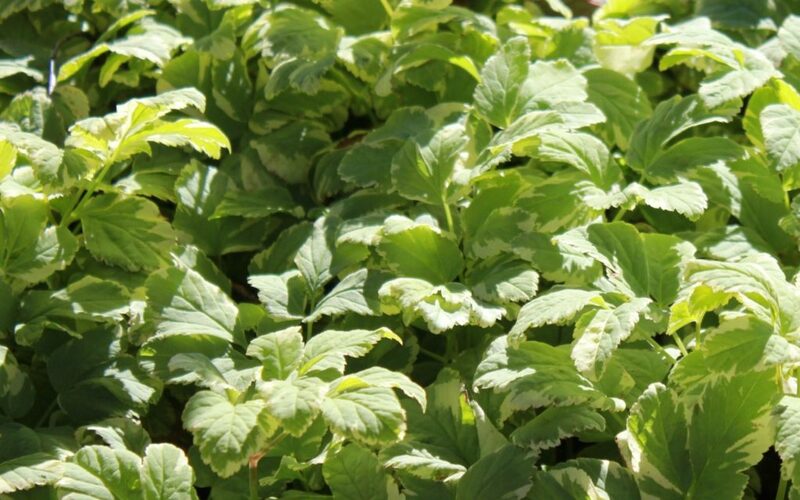 One of these perennial ground covers will be your answer. 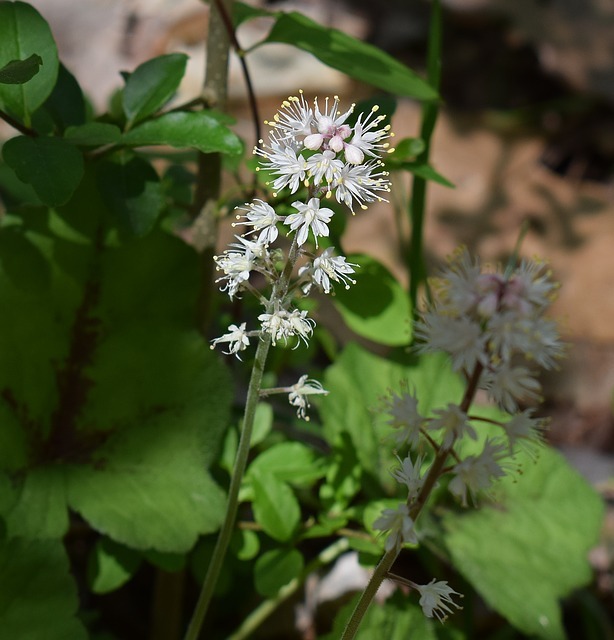 I love this ground cover with it’s pretty purple flowers, but be warned–it can be very invasive and almost impossible to get rid of. If you have very difficult growing conditions, this might be your answer. Japanese spurge is good for woodland areas and creates a 2 inch thick carpet when mature. Like most of the ground covers, it can get out of control in some areas. It does not like very dry conditions. 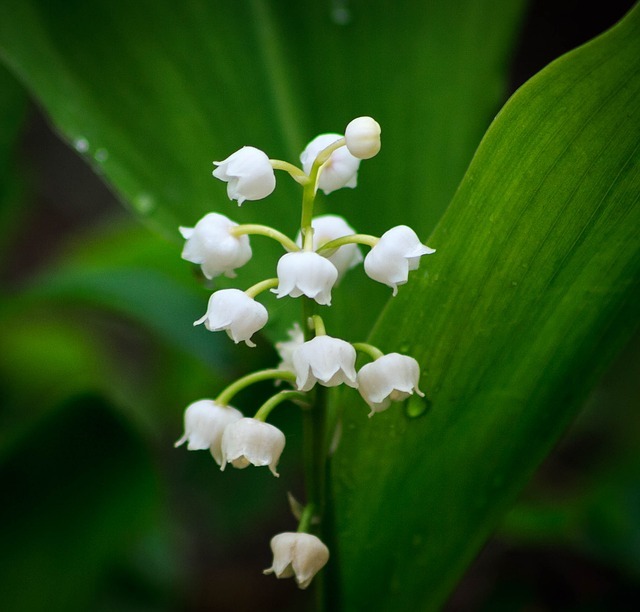 Technically, Lily of the Valley really isn’t considered a ground cover. However, I find that it can spread so quickly, that I would treat it like one. 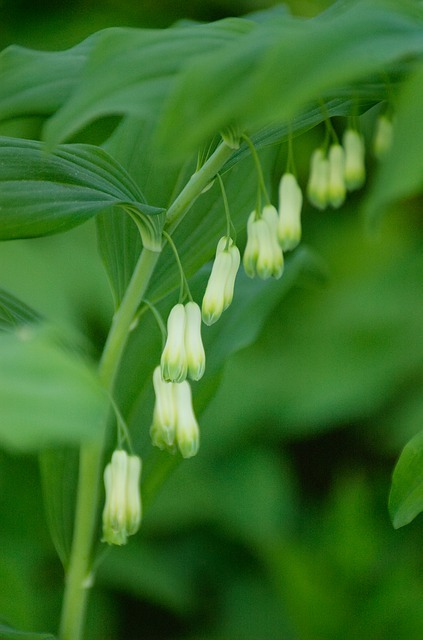 A beautiful plant for a woodland garden. 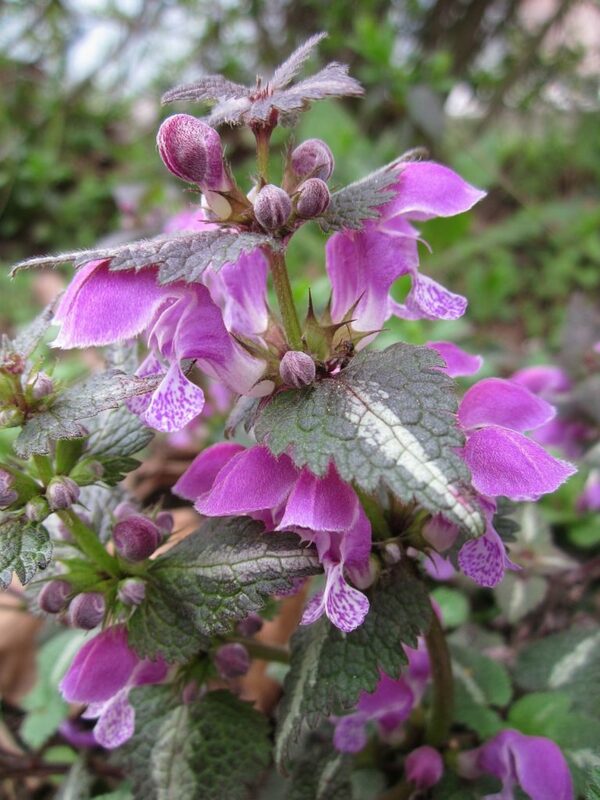 It does well as a ground cover or in a flower bed. Beware the berries, as they are poisonous to animals and children. In my old established neighbourhood, this is the perennial flower of choice for underneath a tree. An old favourite! Get one in dark pink, light pink and white. 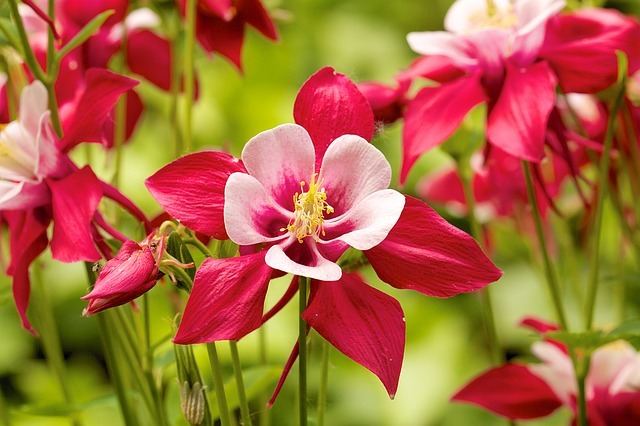 Columbines come in many colours and the seeds are very easy to collect. A must-have underneath deciduous trees. 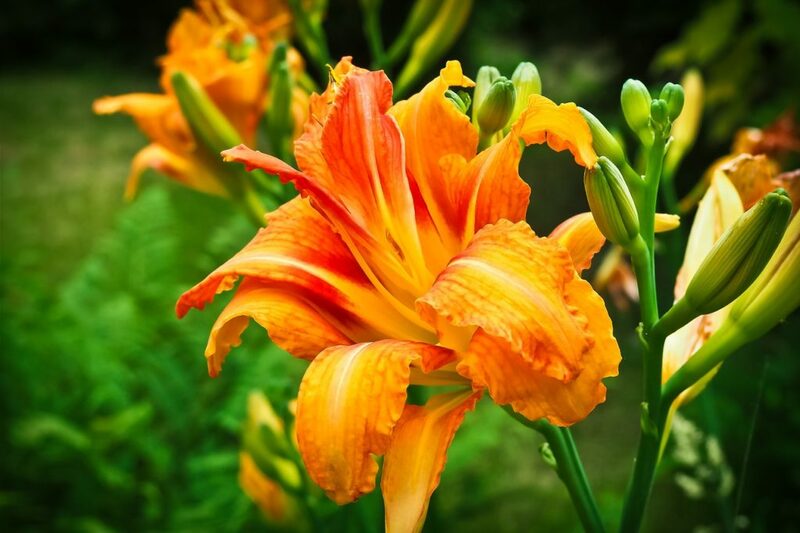 Daylilies actually prefer full sun, but them will grow in the shade. 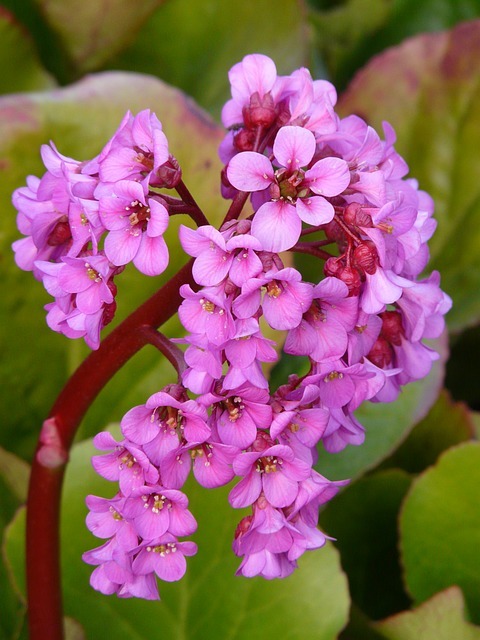 If the shade is too intense and it receives less than 3 hours of sun, it might not bloom at all. However, you’ll still have the interest of the leaves. For the love of all that is right and good in the world, please do not plant ostrich ferns unless you have impossible-to-grow-anything conditions. I currently own an overgrown yard that I have pulled at least 400 ferns from over the last two years. Yes, you read that right. 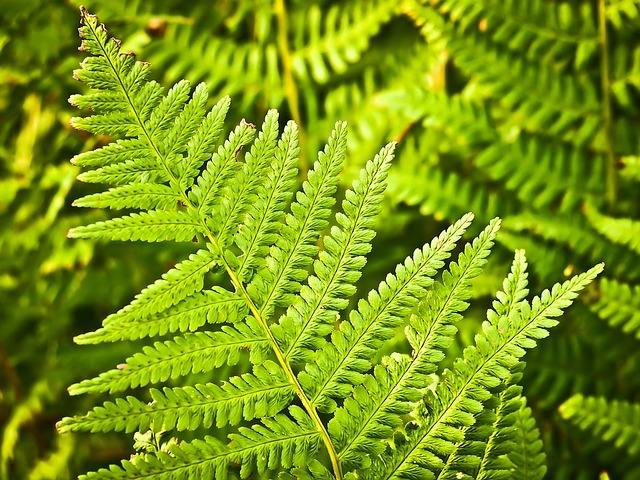 Pick any other fern. 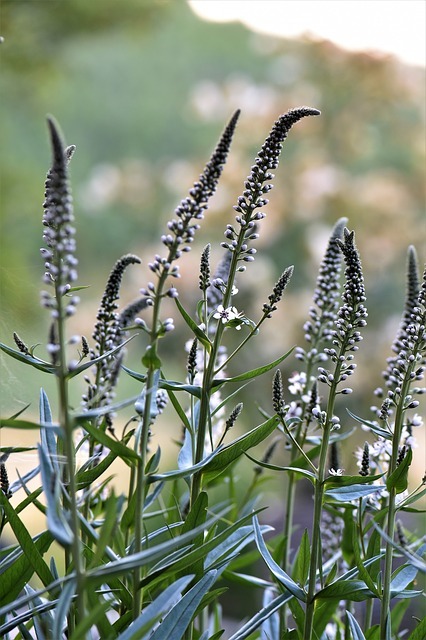 Goutweed is another be-careful-what-you-wish-for perennial that has a bad spreading habit. 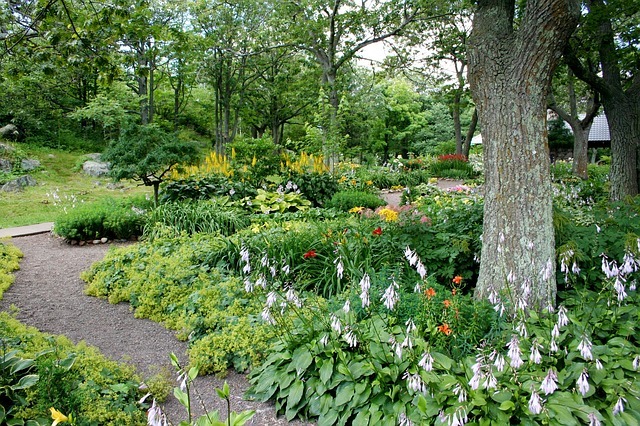 In my post, the 28 perennials you’ll regret planting, it is by far the most-hated. 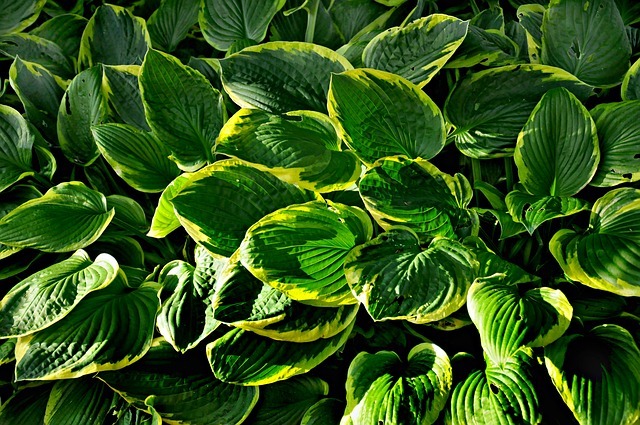 Hostas are easy to grow and come in a variety of leaf patterns. Get 3-5 different varieties for a stunning display. 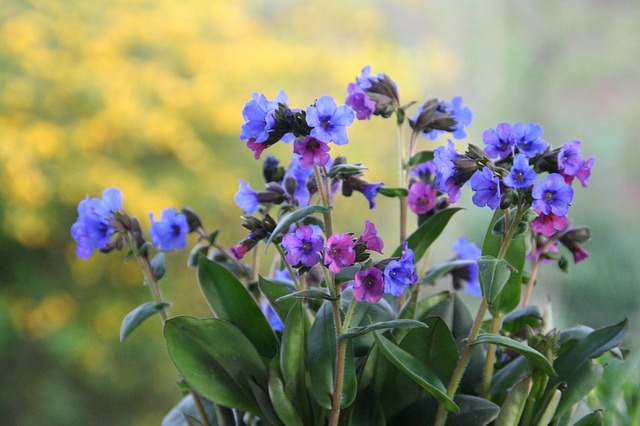 Lungwort is another one of my favourite picks for a shade-loving ground cover in the garden. I love the pretty purple and pink blooms! Look for a variety that grows no taller than 2 feet. The varieties that grow 6 feet will look ridiculous. This one can also be invasive in some areas. 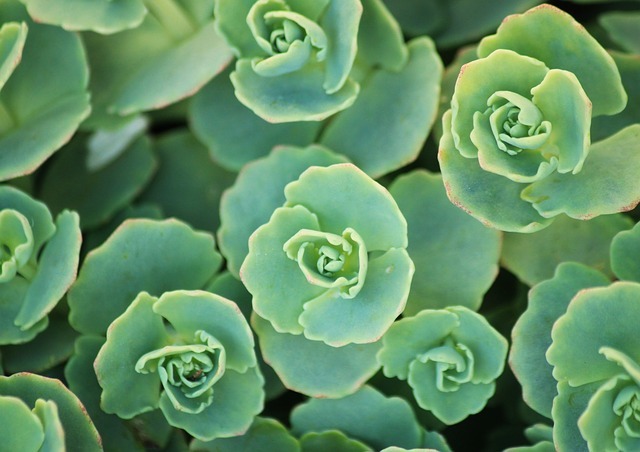 There are so many colourful and gorgeous varieties of sedum that you could easily do you whole under-the-tree flower bed with just sedum. Hmm. . . I have a spot in my front yard. . . . 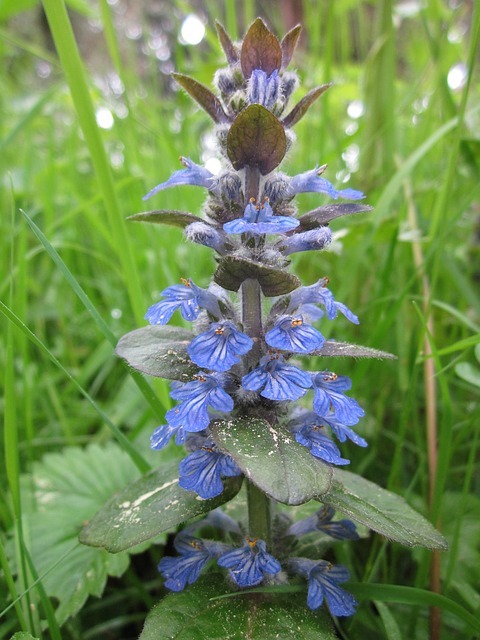 This plant has the most beautiful blue blooms and is an unusual addition to any flowerbed. 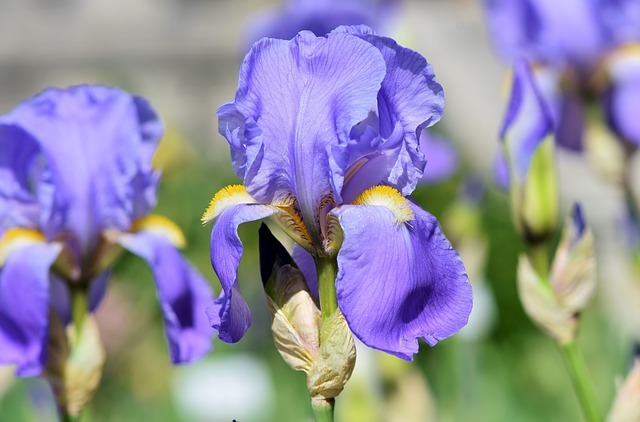 Irises are a great choice for underneath a deciduous tree, because they bloom earlier in the season and the roots should not be planted deeply. Perfect for when you’re trying to avoid damaging existing tree roots. 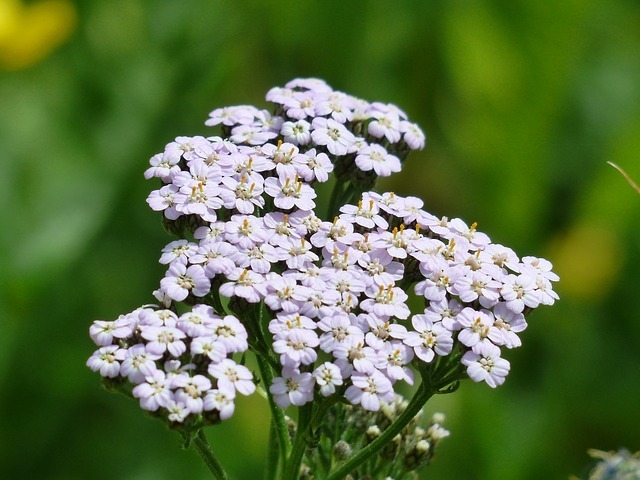 Yarrow is actually best suited to full sun, but if the tree in question is smaller and your bed would receive at least 6 hours of sun a day, plant on. Yarrow is a great choice in this situation because it can thrive in some of the poorest of soils. 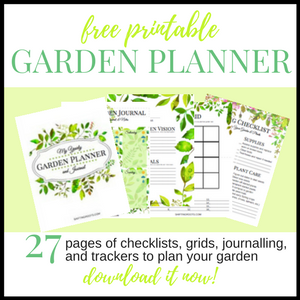 New to gardening in the shade? 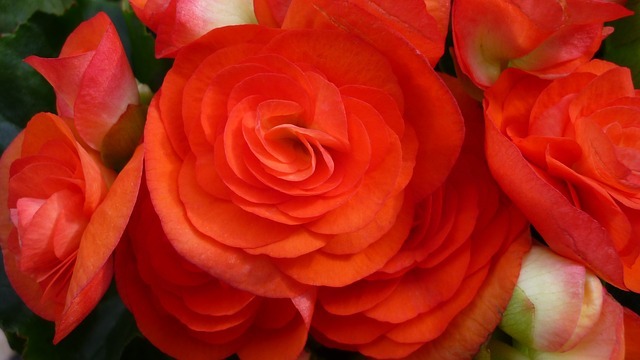 Make sure you get a begonia or two (or more!) They come in many different sizes and colours. My personal favourite are the large double ones pictured below, but in a yellow with pink edges. 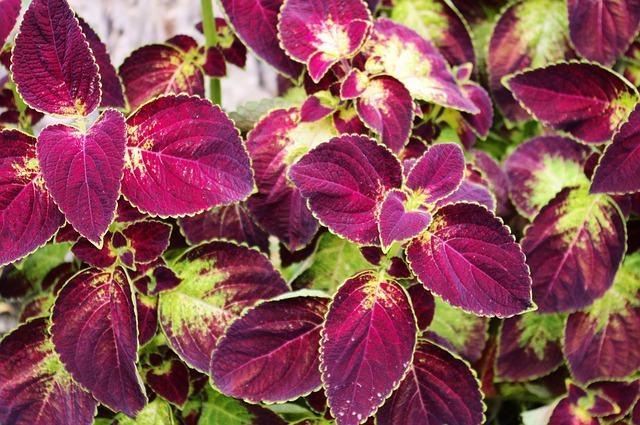 Coleus is widely available in a rainbow of colours at your local garden centre or big box store. Plus, you can take cuttings indoors before the first frost and enjoy as a houseplant over the winter. 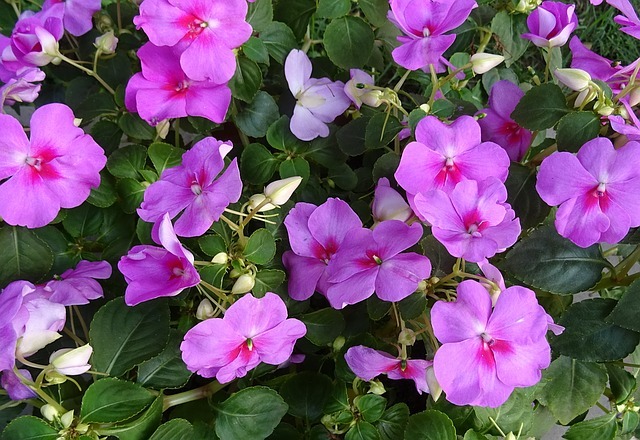 Impatiens are another practically-no-fail-flower for the beginner gardener. They also come in many colours and varieties. I personally love the double impatiens. The ones pictured here are the most typical ones you’ll find at the garden centre. Lysimachia is hardy from zones 2-10 and is a great plant to grow in a shady area where nothing else will grow. However, because of it’s invasive nature, you need to check if this plant is banned in your area or not before planting it. Have a spot that’s impossible to grow anything in? An alpine currant might be the solution. 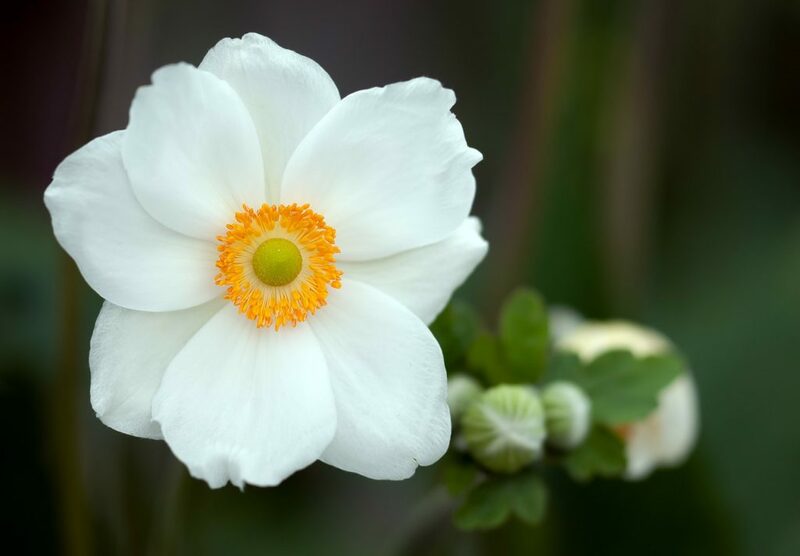 They’re typically used as a hedge, and can handle full sun, shade, poor soil, a hard pruning, or almost any tricky growing situation. Look for low growing varieties for a nice hit of green all year long. Ninebarks are very hardy shrubs and add a unique pop of colour to an otherwise green tableau. The ornamental berries add some nice texture to your landscape. 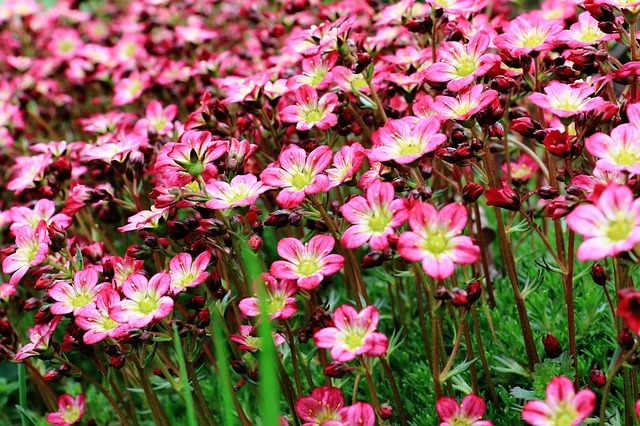 Spireas are better suited to sun, so don’t plant them in a flowerbed that will get no sun whatsoever. Whatever you Plant, Don’t Do this!! 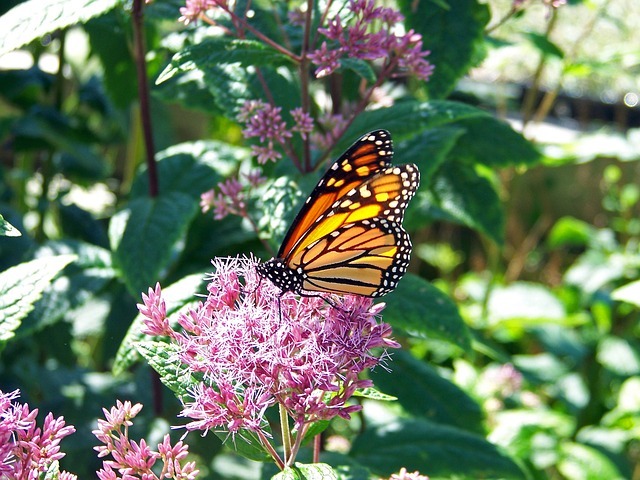 You’ve picked your ground cover, flowers, or shrubs, but there’s three things you need to avoid. 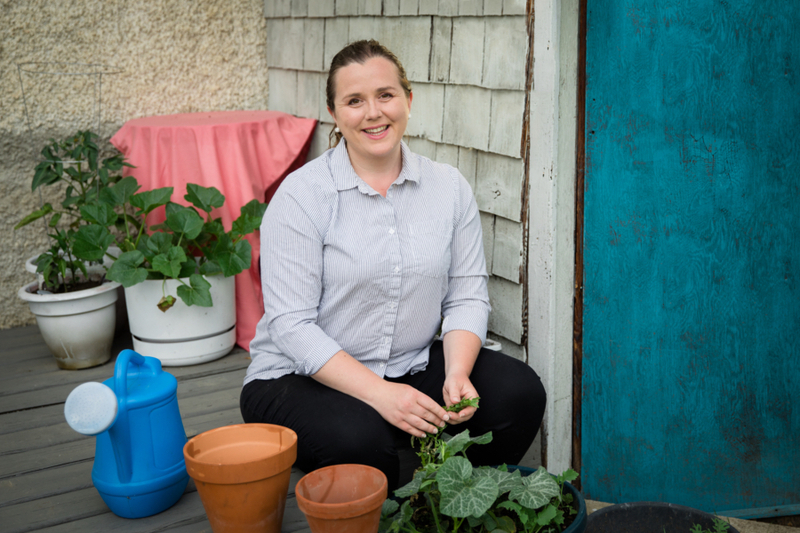 First, don’t build up your soil in a raised bed directly against the trunk of the tree. You could damage the tree and it may even die. You can add 2-3 inches of soil at most without compromising your tree. This is why I recommend surrounding the three feet directly around your tree with mulch and no plants. That way, the tree has a buffer and your plants won’t have to directly compete with the tree trunk for growing space. The mulch ensures that you won’t have a weedy mess. 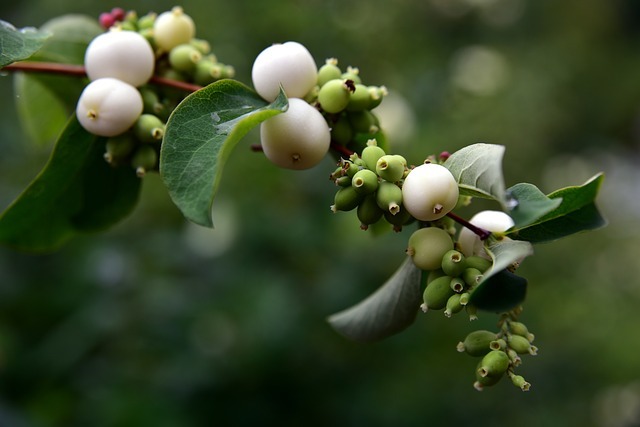 Second, you’ll also want to avoid planting any shrubs that grow more than three feet, as anything taller may start growing in-between the lower branches of the tree. In this case, the shorter the plant, the better. Finally, don’t rototill the ground directly around an established tree to try and make a flower bed. You’ll destroy the roots and damage the tree. Dig small holes for each individual plant instead. The first step to growing successfully beneath a tree is to trim the lower branches of the tree. 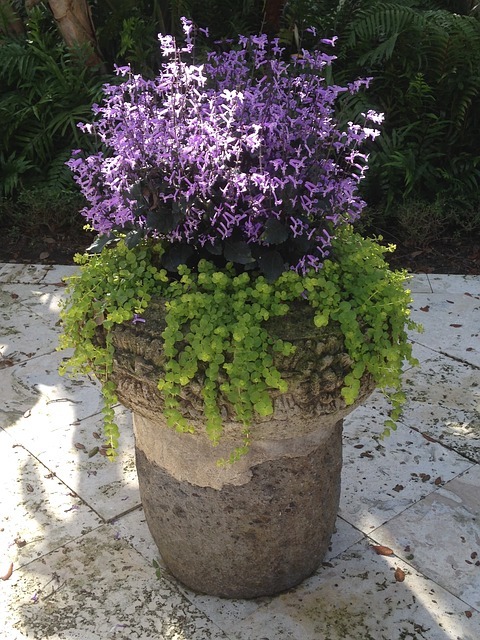 Even shade-loving plants need some light to grow. Next, when you plant your flower bed, make sure that each plant has its own hole that’s larger than the plant. Fill the extra space with more soil. This ensures that the new plants don’t have to compete with established roots and compact ground for their root space. Take special care not to damage the roots of the existing tree. Finally, in a perfect world you would plant the flower bed under the tree at the same time as you’re planting the tree in question. Lots of trees have roots close to the surface, and it’s easy to damage them years later as you’re trying to add plants to a new flower bed. Any suggestions you’d add? Is there a plant that needs to be on this list? This is our house. 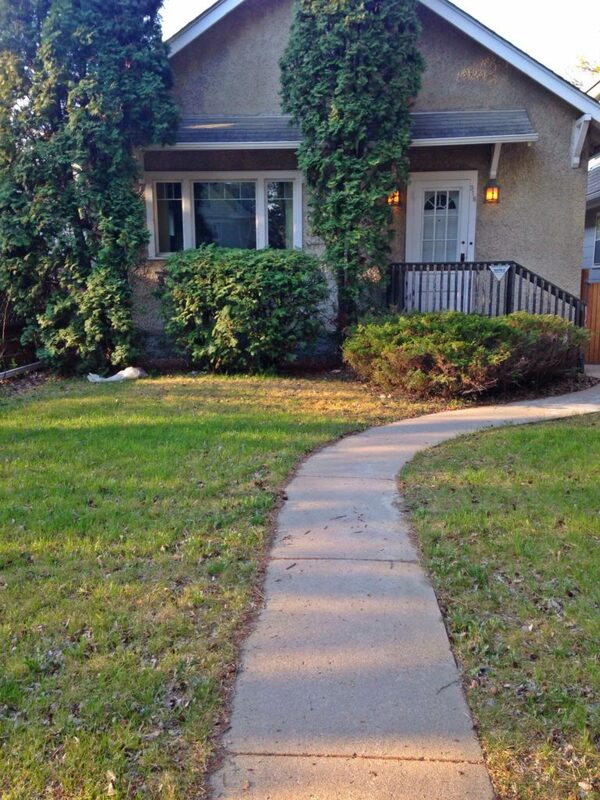 Out of all the homes we’ve owned, this one probably has the best curb appeal. We could tell that things were overgrown, but the arrival of spring has shown us exactly how much.